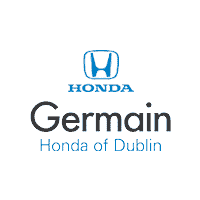 Germain Honda of Dublin’s latest lineup of models are some of the safest and most reliable vehicles around. But those aren’t the only reasons why our Honda models are so sought after. Our vehicles also come with a 3-year/36,000 mile warranty that includes Honda Road Side Assistance, a 24-hour emergency service. The program also covers events that render your vehicle inoperative. This is where 24-Hour Emergency Towing comes in. Whether your car is experiencing a mechanical problem, or if you’ve been involved in an accident, we’ll come get your vehicle and make sure it’s seen to. But those are just the basics. Sometimes, being left without your trusted vehicle imperils personal or business plans. For that, Honda Roadside Assistance also covers you with a rental vehicle. Emergency hotel reservations and airline information can also be provided upon request. Honda Road Side Assistance is available on 2015 models in the United States, Canada, and Puerto Rico, and is covered under the aforementioned warranty mentioned above. To learn more, contact our location in Dublin, OH.